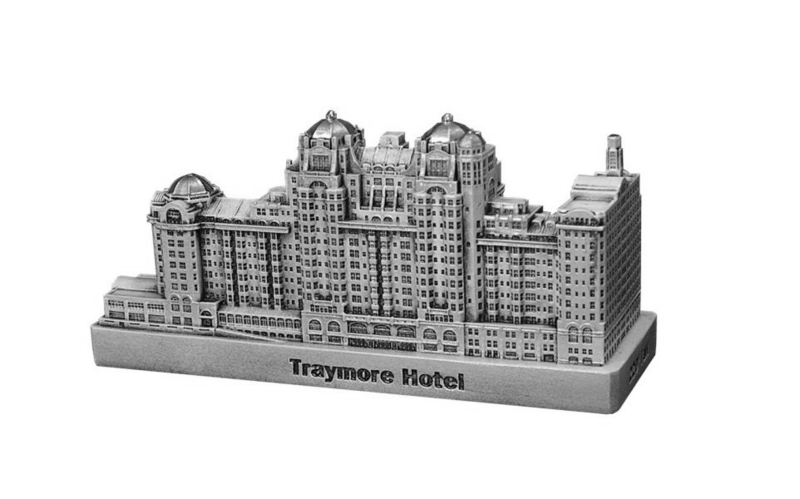 The Traymore Hotel was located in Atlantic City and was completed in 1915 and demolished in 1972. This building was designed by Price and McLanahan and stood 220 feet tall with 16 floors. This pewter replica stands 2-1/2 inches tall and the base measures 5-1/4 inches by 1-3/4 inches and is finished in white with black stain and gold highlights. This model's scale is 1 inch = 100 feet.